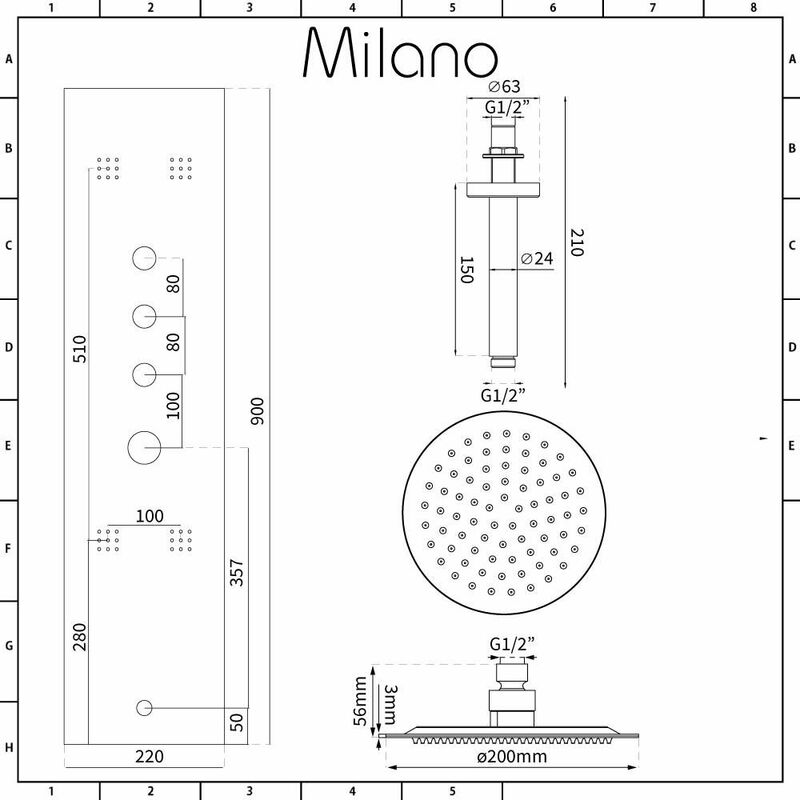 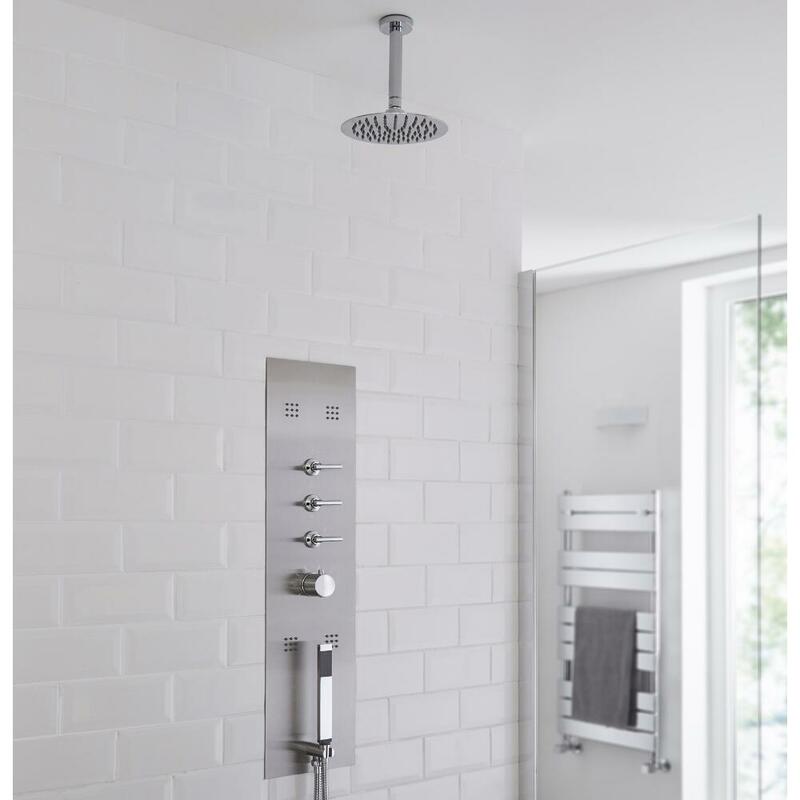 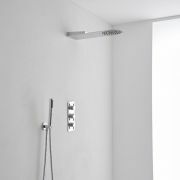 Add sleek designer style to your bathroom or en-suite with the Milano Lisse concealed thermostatic shower tower and 200mm round ceiling mounted shower head with arm. 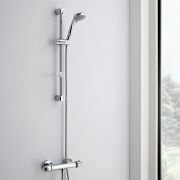 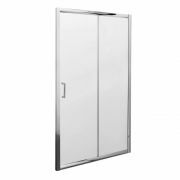 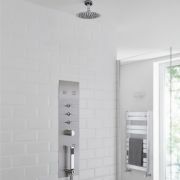 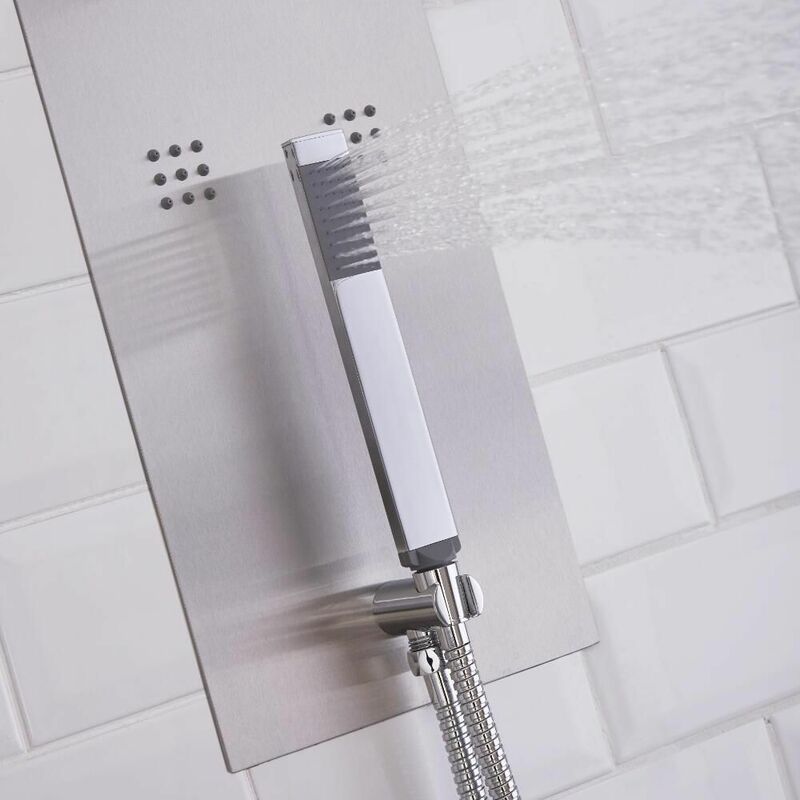 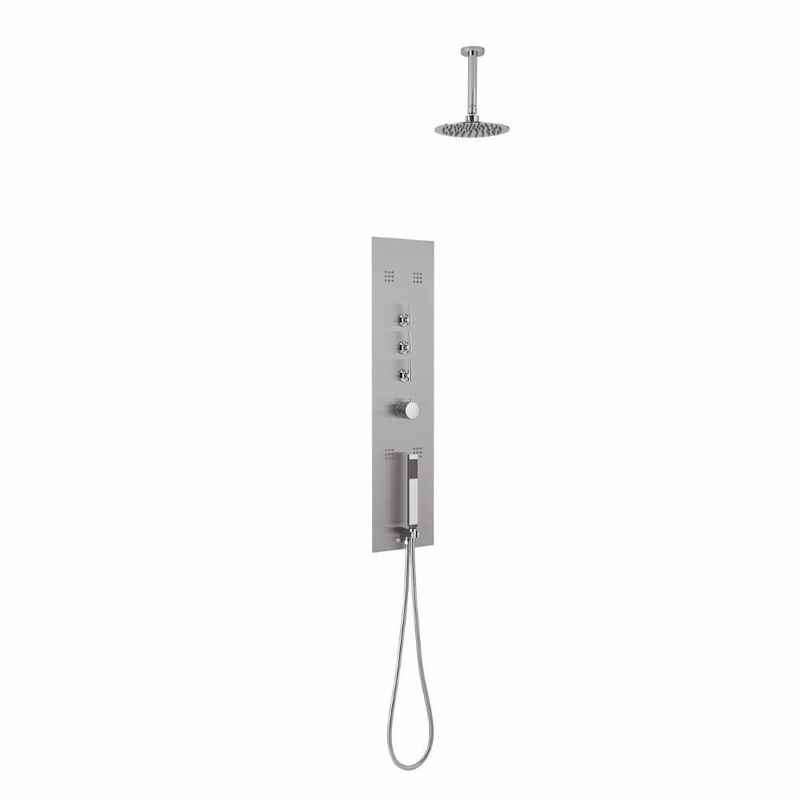 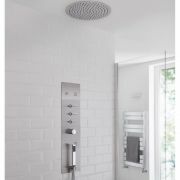 Featuring a brushed chrome finish and a concealed design, the shower tower panel incorporates four body jets and a shower handset with hose. 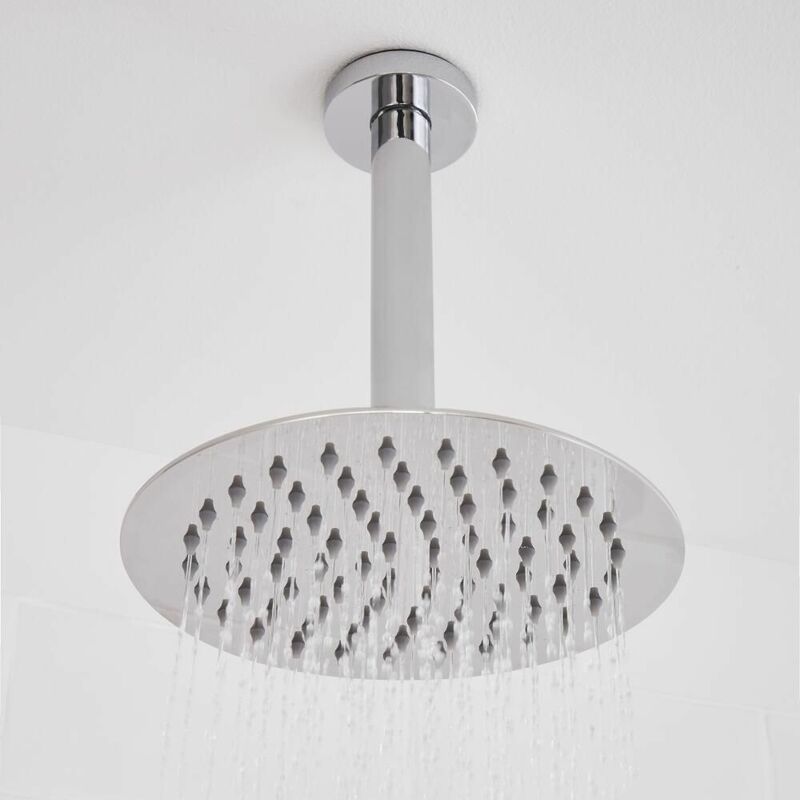 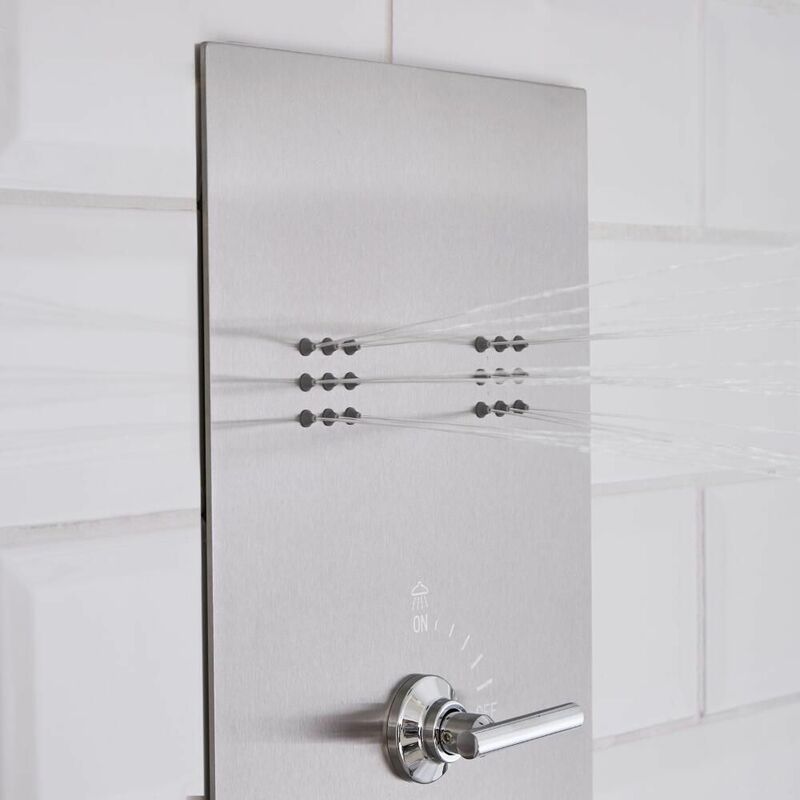 The fixed shower head delivers a refreshing rainfall effect to awaken your senses, while the body jets will ease away aches and pains.